Despite widespread local and national opposition, fracking is gearing up to go live this summer. 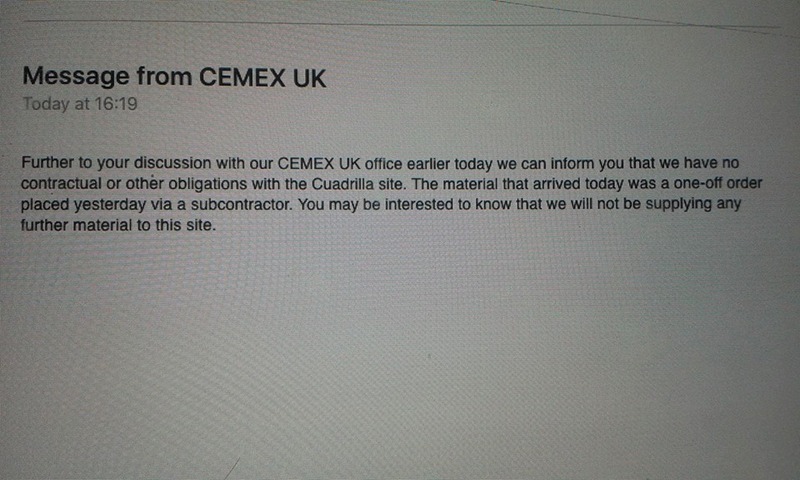 Fracking firm Cuadrilla began site construction in January at Preston New Road in Lancashire. If they get drills in the ground, it will be the first time fracking has taken place in the UK since earth tremors put a halt to test drilling near Blackpool in 2011. Cuadrilla was initially refused permission to frack at this site by Lancashire County Council, a decision that was overruled by Secretary of State for Communities and Local Government Sajid Javid in October. Now, despite the wishes of the council, Westminster has decided that there should be fracking in Lancashire. It’s no secret that this government wants US-style fracking in the UK. Andrea Leadsom, the Environment Secretary, called fracking a ​“fantastic opportunity” while Theresa May is even going so far as offering compensation, an attempt to overcome strong public opposition. Along with Philip Hammond, Leadsom and May both voted against explicitly requiring an environmental permit for fracking activities in 2015. But what do people beyond Westminster want? The government have been tracking public attitudes to fracking since 2012, and their own surveys show that public opposition to fracking is growing while support, now at a low of just 18%, diminishes. Figure 1: Levels of support for fracking in the UK, using data from the Energy and Climate Change Public Attitudes TrackerFrom Bristol to Newcastle, thirty different councils have opposed fracking in their areas. And indicatively, when the power to grant fracking licenses was devolved to the Scottish Parliament and the National Assembly for Wales in 2015, both took the opportunity to ban fracking completely. But the government overruling of Lancashire County Council’s decision sets a dangerous precedent for decision-making around fracking. Communities have launched petitions, attended meetings, and responded to consultations, but ultimately the government has sent the message that we do not get a say in our energy. Control lies with the government and energy giants like Cuadrilla. Despite this, communities have held fracking at bay for the last 6 years, and they don’t plan to give up just yet. Local groups are ​‘slow walking’ lorries in Lancashire, to delay them bringing equipment onto the site. Friends of the Earth and Frack Free Ryedale took North Yorkshire county council to court, arguing that they had failed to properly consider the environmental impact of burning gas when it approved the fracking last year. And this week, Reclaim the Power, a direct action network, has launched a fortnight of action highlighting fracking supply chain companies. People across the country are sending a clear message of opposition to the government and fracking companies – and some are beginning to listen. 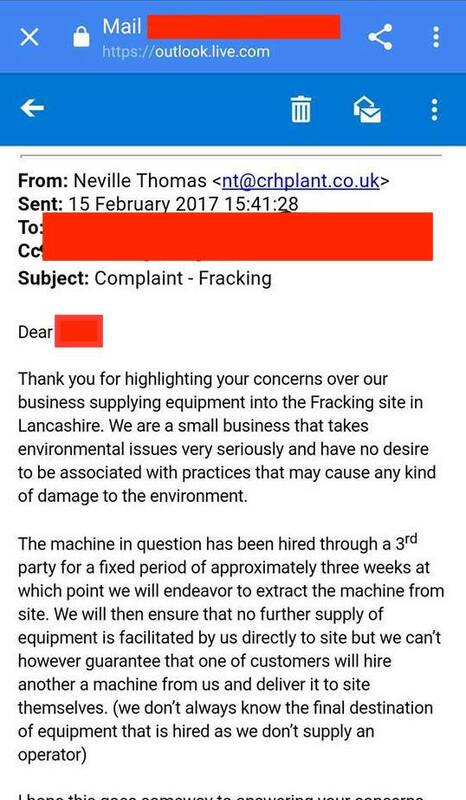 Companies along the supply chain are breaking their links with the fracking industry because of public opposition. So far at least four major companies used on fracking sites have pulled out after public pressure and action – Armstrong Aggregates, Moore’s Readymix Concrete, Cemex and CRH Plant Hire. It’s time the government listened to what people really want, and recognised local people as agents of change in their communities. We deserve a say about what kind of energy we want to invest in in our communities, and fracking has been roundly rejected.